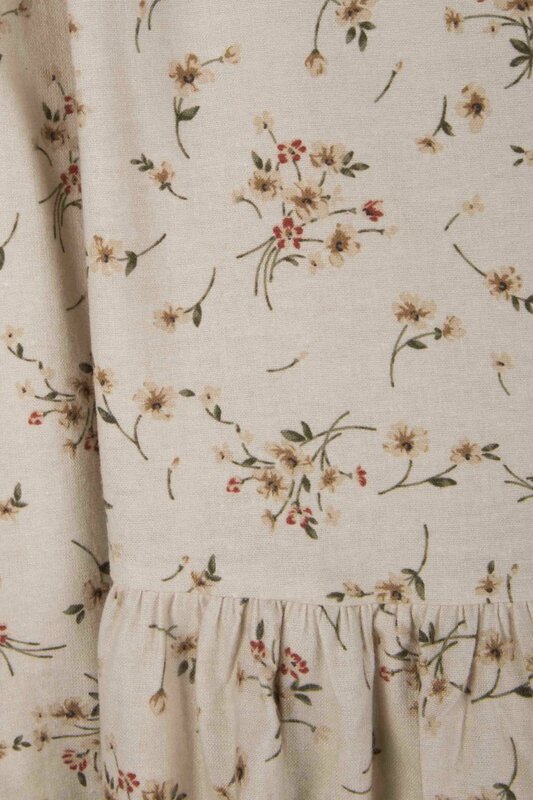 A vintage-inspired piece, this midi dress features a floral print in a soft flannel-like material. With a lightly frilled collar and buttoned cuffs, this dress adds a feminine flair to your look. 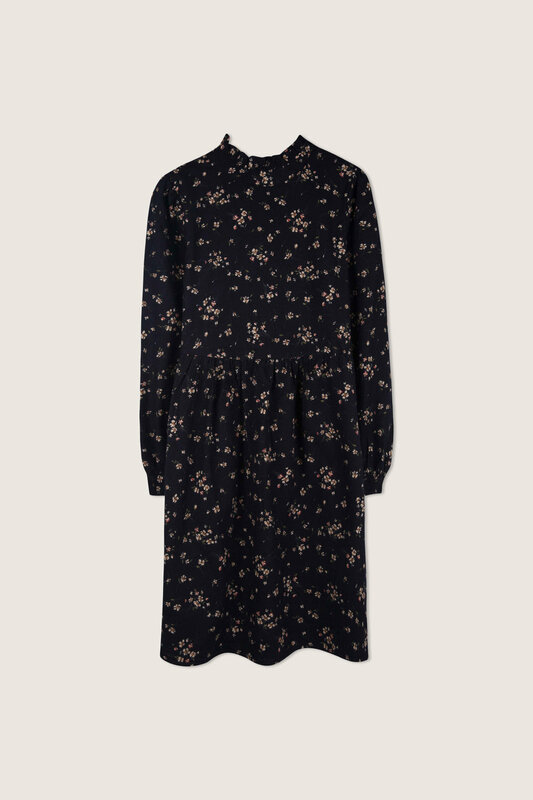 Try pairing this dress with ankle boots and a moto jacket to add an edgy touch to this romantic dress.